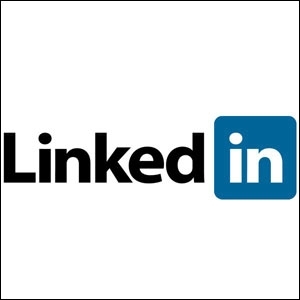 In May 2003, LinkedIn was launched in the US as a social networking platform connecting job seekers with recruiters. This was a time when the world was untouched by online-vanity-platforms since websites like Facebook and Orkut were yet to see the light of the day; both launching a year later. As time passed, people saw utility in LinkedIn and warmed up to the website's interface designed strictly for business and not fluff. However, what no one saw coming was that after achieving a massive 546 million user-base in over 200 markets, LinkedIn, in 2018, will begin to closely resemble its distant cousin, Facebook. For a long time, LinkedIn was deemed a lacklustre platform having limited use cases, thereby, commanding little user-engagement time. In addition, users were conscious of the fact that as a platform, LinkedIn was depicting their professional life. But that has changed over time. As people became increasingly comfortable with LinkedIn's ecosystem, they realised they could post statuses, pictures, videos and also, like and comment on posts, just like they could on Facebook. What began as a platform encouraging users to post statuses about job openings, has now transformed to accommodate posts about one's everyday experiences ranging from wishing their favourite actress a happy birthday or worse, sharing good-morning messages! Ashutosh Negi, national creative director, Magnon/ TBWA, opines, "From the content perspective, sometimes you don't even realise if you are on Facebook or LinkedIn till the time you see their respective logos. There is a thin line between the two platforms now." A thought resonated by many, particularly after the re-designing of LinkedIn's interface in 2012 which made it look and feel increasingly like Facebook to the extent that icons of images/ videos were also present in the same places on both platforms. Moreover, one is reminded of Facebook's story-feature when using LinkedIn's new video filters which are presumably introduced to lighten up conversations on the platform. And the similarity doesn't end here - like Facebook, LinkedIn too has come up with its first TV campaign in the Indian market titled, #InItTogether. Given the circumstances at hand, one is forced to wonder if it is the users who are nudging LinkedIn to be the intellectual equivalent of Facebook or if, in fact, LinkedIn itself is pushing for a transition in order to evolve as a more marketable property. "LinkedIn's foray into mass media hints at the strategic mainstreaming pursuits of the company to move away from its original niche identity." If we consider the latter possibility, one must not forget that Microsoft, in 2016, acquired LinkedIn at a staggering price of $26.2 billion, making it the biggest deal for Microsoft so far, after the costly mistake that the Nokia acquisition was. While LinkedIn's contribution to Microsoft's revenue was $1.3 billion during the last quarter of 2017, LinkedIn continues to reel under pressure to expand revenue for Microsoft. It can be observed that the platform which, till now, had talent-solutions as a major component of its monetisation policy is now turning towards advertising as a key revenue source. Incidentally, only two days ago, LinkedIn launched its video option to advertise sponsored content and company pages - a feature which has been operational on Facebook for quite some time. However, solely attributing LinkedIn's expansion goals for its resemblance to Facebook may not be entirely fair. During its initial years, LinkedIn's target audience was not as diverse as it stands today. Roger Pua, senior director, brand marketing and communications, LinkedIn Asia Pacific and China, tells us that students and career-starters are currently the fastest growing segments of the company. "We want to be sure that LinkedIn is playing a key role in helping them to get a (first) job, expert knowledge and professional advice," he informs. While there may be many social media platforms, all of them witness overlapping users. If LinkedIn is seeing youngsters as a rising user base then it would not be incorrect to assume that this audience will also be active on Snapchat, Facebook or Instagram (platforms which are readily associated with the youth). Hence, content seepage is bound to occur. Also, the brand's latest Indian campaign portrays professionals from different walks of life. 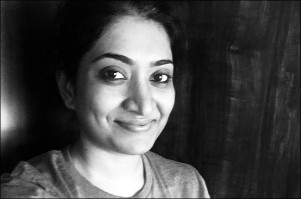 Pua shares, "Our campaign in India sought to bring to life the tones and nuances of a range of professionals and the lives they live - a photographer, chief executive officer, software engineer, and teacher." "While there may be many social media platforms, all of them witness overlapping users." Negi points out, "LinkedIn was earlier purely a networking site for the corporates. Now they want to open up the door for other professionals as well like musicians, photographers and cartoonists, among others." The presence of individuals working in a range of diverse professions is likely to further push the variety of content being splashed across LinkedIn. In India, LinkedIn has a 47 million-plus user base making it the largest market for the company after the US. "In India, we've come a long way from 2009 when we set up our first office in the country and had just over 3 million members. India is also one of the few markets where we have R&D teams on the ground. 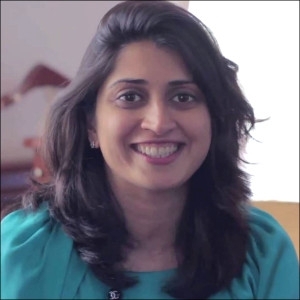 We also launched LinkedIn Lite, an app that was made in India for the Indian market (and has subsequently been introduced across the globe) by our locally-based team to enable people to access opportunities on LinkedIn, particularly if they are in areas where internet connectivity is not ideal," shares Pua. "Just like Facebook, LinkedIn too has come up with its first TV campaign in the Indian market." The campaign, #InItTogether, which has been running on Indian TV screens during the IPL matches, is, in fact, a global one. Launched earlier this year in the US, the Indian market is second in line in terms of the campaign's release. Other Asia Pacific regions will also see the launch of this campaign in May 2018. The Indian rendition of the campaign has been crafted by The Glitch. 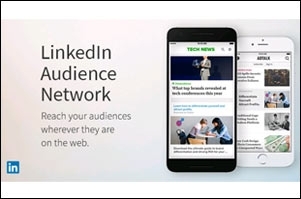 LinkedIn's foray into mass media, just like Facebook, also hints at the strategic mainstreaming pursuits of the social networking website in order to move away from its original niche identity. "LinkedIn's contribution to Microsoft's revenue was $1.3 billion during the last quarter of 2017." "I'm conscious that this is the first time we've done a campaign of this scale, so there's always room for improvement," confesses Pua and adds, "While we kick-started our campaign on TV with IPL, we've also invested in outdoor advertising which includes billboards, bus shelters, airports in Mumbai and Bangalore, and a metro train wrap in Mumbai." A look at the ads released by LinkedIn in the American market under its #InItTogether campaign.